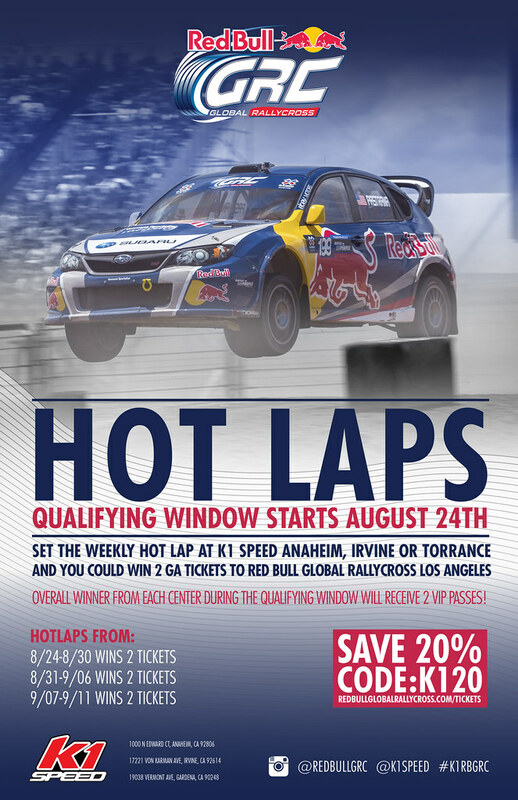 Red Bull Global Rallycross LA ‘HOT LAPS’ Contest! One winner will be chosen from each center weekly. A racer can only win once during the qualifying window. Winners will be contacted via email and phone. Tickets will be available for pick up at Will Call. I’m ready. Out to Galpin Volkswagen to see Andretti team Thursday. Need some freebies/Tickets- to hand out to young people to get them involved, in the sport!